Click the button below to add the Adams Rite 5017-02 - Wood Door Deadlock/Deadlatch - Self-Latching Deadlock to your wish list. The 5017 Wood Door Deadlock/Latch provides the strength and deeper backset required to secure sliding wood doors. 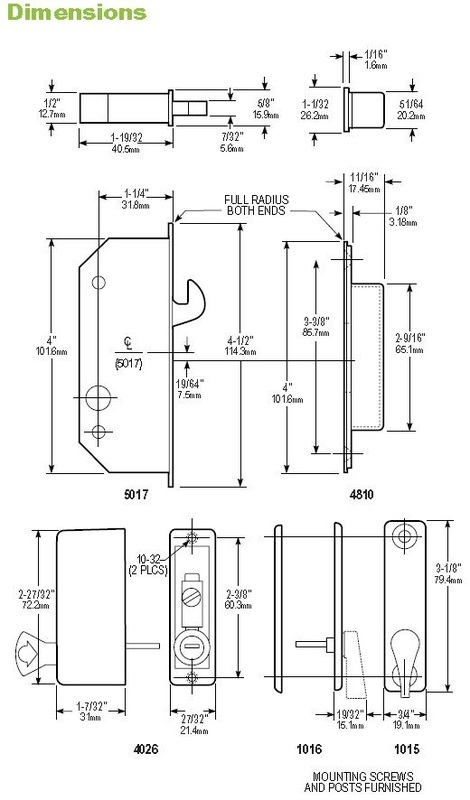 For wood framed sliding doors, the 5017 Wood Door Deadlock/Latch provides the same thousand pound strength that the MS1847 Deadlock provides for metal stiles. A deeper backset clears the recessed jamb used with wood doors. The bolt throw is easily adjusted by means of a screw in the faceplate. Mounting is by through-bolts, which also secure the inside turn and outside cylinder when installed. 45° rotation of turn or key throws or retracts bolt. Bolt is self-protecting: if door is shut while bolt is extended, it will retract, preventing damage or accidental lock-out. Case: Stainless steel, measures 1/2” x 4” x 1-19/32” deep. Bolt is laminated stainless steel (specify 5015 for zinc plated steel case and faceplate). Faceplate: Stainless steel, 5/8” x 4-1/2” with radiused ends. 1015 Turn: Available with 1016 blank plate shown for doors from 5/6” to 2-1/4” thickness. Without blank plate turn available (for use with cylinder pull) on doors from 1-7/16” to 2” thickness. Standard finish, 130 Satin Aluminum enamel. 4026 Cylinder Pull: Five pin tumbler cylinder in zinc alloy housing. 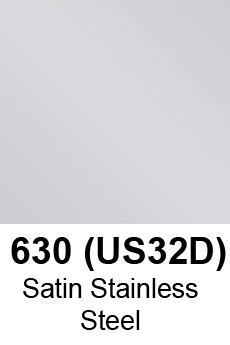 Standard finish,130 Satin Aluminum. Options: Specify 5015 for zinc plated steel case and faceplate. 1015 Turn for inside operation is available alone (for use with 4026 cylinder pull on outside) or with a blank 1016 outside trimplate and binder posts (when cylinder is not required). 4810 Box Strike with wood screws available separately. Standard Package: Cylinder pulls and/or thumbturn available separately. Shipping weight: 1/2 lb. This part fit my door perfectly however, unlike the original, it can't be left unlocked so every time the slider door closes, it locks.